Home » Is Learning The Same As Growth? When a flower grows it doesn’t just grow larger, it changes form. When a tree grows it doesn’t “overcome” its inner rings – it expands around its central core. In nature, we find perfect analogies for how growth works. The same is true for people and teams. Professional growth isn’t just about learning (cognitive improvements or skill building). Real growth takes learning AND transformation. Sustainable professional growth cannot happen unless the person grows as well. 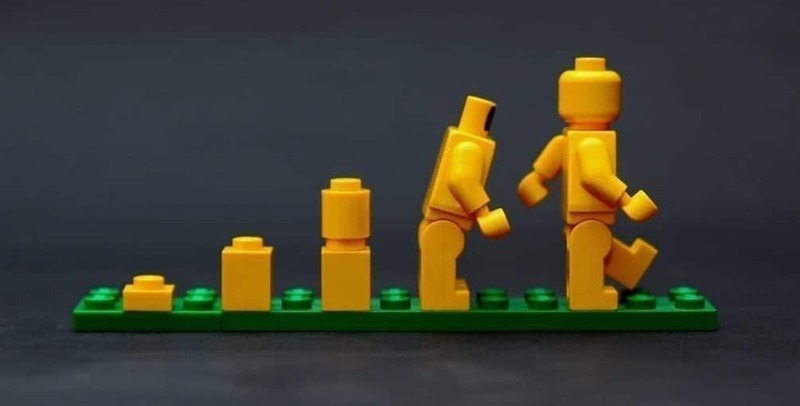 When professional development is focused on learning alone, the person may acquire a technique or a new skill, but actual transformation, real growth hasn’t happened. The learning has to sink in and transform the learner. In Buddhist teachings, there is a saying: “True understanding cannot be separated from action.” That is because the person has changed as a result of their learning process. We see the flipside of this often as dilemma when people use the phrase that someone doesn’t walk the talk. Smart people can say all the right things, but when their actions aren’t aligned with their words, they aren’t effective and lose credibility quickly. This important distinction between learning and improvements on the surface versus transformative learning applies not only to leadership coaching but also to team coaching. Team building needs the usual things we would expect — a shared sense of purpose, a vision, and prioritized objectives to move toward it, team guidelines, clear roles, etc. These conversations can be challenging in and of themselves but that’s just the “mechanical” side of team development. Those mechanics are necessary, but they are not sufficient to turn a team into a high-performance team. The human element of collaboration isn’t yet addressed – and conversations about human dynamics require different skills and the courage to show up with authenticity and to speak one’s truth. For a team to grow, it needs growth of the individual team members. And, again, individuals grow not just because they understand something but because they act on their understanding. Whenever learning is coupled with transformation — new skills applied to new ways of seeing, relating, and actions aligned with the new understanding — that’s where true growth happens. That also explains why high-performance teams are harder to find: Everyone on the team needs to be willing to look at their part in co-creating team culture, needs to take responsibility for their part, and cultivate attitudes and behaviors that foster collaboration.